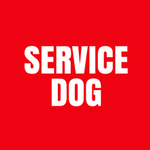 Service Dog Shirt in Red will help others know of your dog's special trained skills needed for your well being! 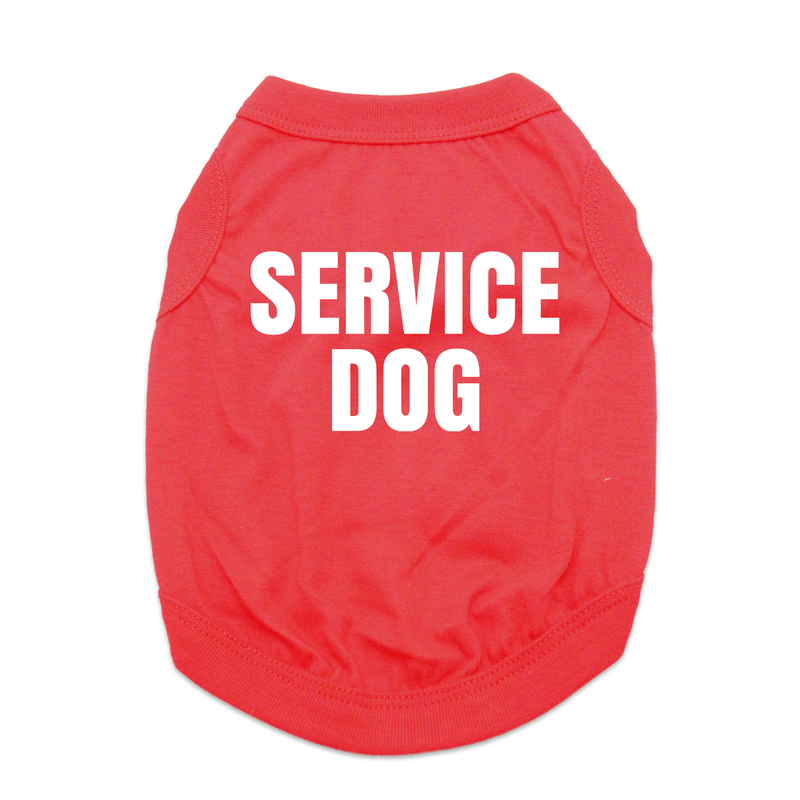 Show off your dog's trained skills to be a Service Dog Shirt. 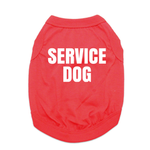 The sleeveless style and soft 100% cotton keep your pup feeling comfortable even while they're working. This dog tank top also features a high-cut, stay-dry belly for the ultimate comfort and convenience. Machine wash cold inside out and dry flat for best results. Caution: Fraudulent representation of a service animal may cause owners to be subject to prosecution, fines, jail time and/or community service.